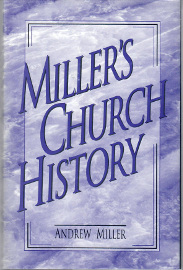 This history begins with the Lord’s revealed purpose concerning His church in Matthew 16. 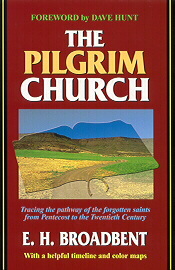 Other parts of the New Testament have been carefully examined as to the early history of the church, but its actual history beyond the time period covered in the Acts has been traced in the light of the prophetic history given in the addresses to the seven churches in Revelation 2-3.To aid in learning about a specific period in church history, the chapter headings show the time period covered by the chapter. Also, the book includes a general index, an index of persons and an index of places. 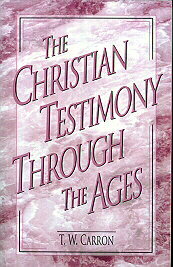 This is a marvelous history of those who have borne something of the Lord’s testimony through the ages. It does not deal with the history of the professing, organized church, but of those who have gathered in the Lord’s name since the beginning of the church age. From Nero’s burning of Rome to the twentieth-century charismatic renewal, this book highlights the major people, events, and ideas that have shaped the long history of Christianity. 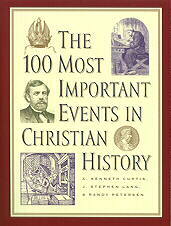 This compelling book traces two thousand years of church history in one concise volume. Packed with information and told in a readable, journalistic style, it is certain to breathe new life into church history. “The testimony of the Christ” is an apt definition of the church. Sustained by a power no less than that of the Spirit of God, this testimony has continued down through the ages. The world has not received it, or the world would not be what it is today. Strongest when most opposed and weakest when smiled on by the world, it has continued, in spite of all obstacles, because, while the testimony comes through frail human vessels, its light is divine and its power is of God. This is a book that will never die—one of the great Christian classics. Written with passion and tenderness, it tells the dramatic, true stories of men, women, and children who, in the face of indescribable persecution, gave their lives for the sake of Christ. 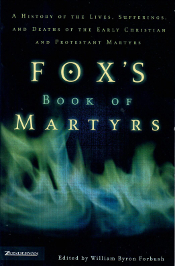 Covering the broad sweep of church history from the early church to the beginning of American foreign missions in the early 1800s, Fox’s Book of Martyrs continues to inspire and strengthen countless Christians with a vision of faith that, both in life and in death, commits itself utterly to the Lord of Life. Dr. Paul L. Maier’s award-winning translation and condensation, Josephus has now been expanded and enhanced. As the primary source of additional information about events in the Old and New Testaments, Jewish Antiquities and The Jewish War by Josephus take on a brilliant new dimension with full-color photographs of many of the places and artifacts cited in these works. 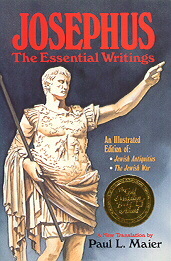 In addition to Dr. Maier’s eminently readable and engaging text, this updated edition now includes insightful discussions on the historical and chronological issues raised by Josephus.